Manufacturers of carbonated soft drinks, fruit juices, teas and energy drinks are constantly searching for the most reliable, safe and energy-efficient pump technology. The soft drink pumps have a seal-less design, dry-run capability and shear-sensitivity. 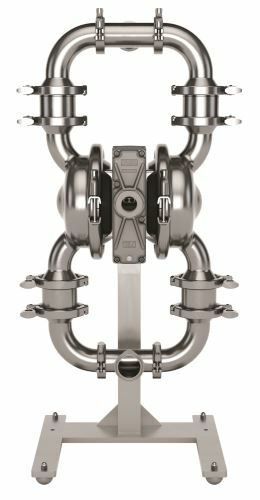 The pumps have been redesigned with a more efficient flow path that ensures desired flow rates are met. 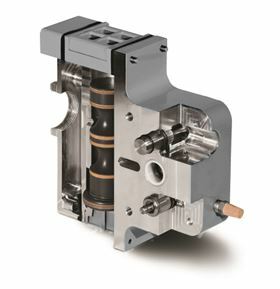 Wilden® Saniflo™ FDA Series AODD pumps provide soft-drink manufacturers with many construction materials. 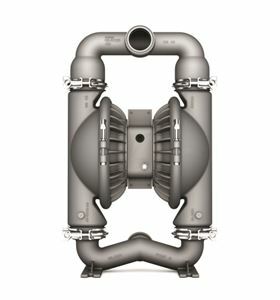 The Pro-Flo® SHIFT Air Distribution System (ADS) hopes to reduce AODD pump air consumption by up to 60%. This article will illustrate how one type of pumping technology, air-operated double-diaphragm, or (AODD), can help to streamline the soft-drink manufacturing process by optimizing liquid-transfer operations at several critical points along the production and supply chain. Though per-capita consumption of carbonated soft drinks in the United States has been on a steady decline since peaking in the 1990s, the average American still consumes more than 41 gallons of the fizzy drinks annually, which is the equivalent of 437 12-ounce servings, or 1.2 cans a day. To address this decline, though, the major soft-drink conglomerates (Coca-Cola Co., PepsiCo, etc.) have begun expanding their product portfolios to include items that fit the new soft-drink definition, such as juice drinks and, more significantly, the energy drinks that have become extremely popular with millennials. 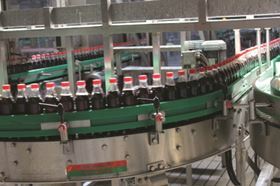 The global landscape is dotted with soft-drink production facilities, more commonly known as canning and bottling plants, that take such regularly required ingredients as high-fructose corn syrup, various concentrates, different flavourings and phosphoric acid (which adds acidity to the final beverage) and converts them into finished products that are ready for consumption. In many instances, the large multinational companies that dominate the global soft-drink market, contract with bottling companies to produce their soft drinks in accordance with their highly guarded, tried-and true formulas. There are also smaller operations that produce, for example, root beers and ginger ales on a much smaller scale, but still require the assistance of the canning and bottling company. What all of these soft-drink production operations have in common is that the manufacturing process must follow strict protocols that cannot be deviated from, lest the finished product does not live up to the company’s long-established standards for look, mouth feel and, most importantly, taste. • Common tap water is treated at the production facility so that any impurities that may affect the soft drink’s taste or color are removed. The water’s alkalinity level is also adjusted so that its meets a regulated pH level. • The treated water is sterilized in order to destroy any bacteria or organic compounds it may still contain. A small amount of chlorine is used to complete the sterilization process. • After the sterilized water ‘rests’ in a storage tank for a few hours, it is run through an activated-carbon filter that de-chlorinates it. From there, the completely sterilized water is transferred to a dosing station. • The pre-mixed concentrate, which arrives at the facility in drums and totes, and gives the specific soft drink its colour, flavour and sugar content, is pumped into the dosing station, where it combines with the water. The amounts of concentrate used at this stage are usually determined by weight, not volume, so the batch tank is placed on a load cell or scale and when a pre-programmed weight, for example, 500 pounds (227 kg), is pumped into a tank before the pump turns off. • This concentrate/water mixture is then moved to a batch tank where it is carefully blended to form the base of the soft drink and then flash pasteurized, which is a process that uses ultraviolet radiation to quickly heat and cool the mixture to ensure that any impurities are removed. • At a precise temperature, the mixture is passed through a carbonator that adds carbonation to the product at predetermined levels according to the recipe for the soft drink. Generally, juice drinks require far less carbonation than traditional soft drinks or carbonated energy drinks. • The finished carbonated product is transferred to filling lines where it is injected into bottles and cans of varying volumes at high flow rates. When filled, the containers are sealed with pressure-resistant closures like aluminum caps or twist-off plastic tops. • The filled cans and bottles (which must also be labeled) are then packed into cartons or trays before being placed on larger pallets for shipment to distributors, who ensure they find their way to store shelves and into the hands of consumers. The Wilden® Hygienic Series (HS) and Saniflo FDA AODD pumps, from Wilden Pump & Engineering, Grand Terrace, CA, USA, can pump a wide range of viscosities and shear-sensitive products, and can be used for the corn syrups, phosphoric acids, concentrates and flavourings that play such a major role in the production of soft drinks. • Pure-Fuse diaphragms: This design combines food-grade plastics and elastomers with a stainless-steel core in a patented configuration that uses no adhesives or nylon fabric that can contaminate process fluids in the event of a breech. The diaphragm features an unbroken fluid-contact surface with no product-trap areas. As a result, Pure-Fuse can reduce contamination risks. The elimination of the outer piston also reduces a common abrasion point, which could result in longer diaphragm life. Finally, the Pure-Fuse’s large internal piston and full-stroke shaft provide greater fluid-transfer displacement while allowing the pump to achieve twice the dry vacuum when compared to short-stroke CIP-capable diaphragms. 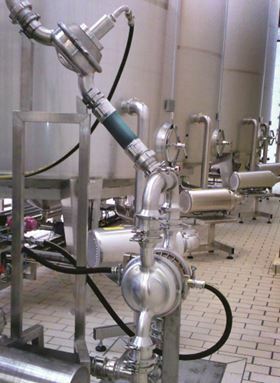 • Stainless-steel Pro-Flo® SHIFT ADS: The availability of the stainless-steel Pro-Flo shift ADS allows the HS and FDA pumps to be used in a wider range of hygienic or sanitary liquid-handling operation in food-and-beverage manufacture. Though carbonated soft-drink consumption in the U.S. has been inexorably declining, it still remains the most popular drink among the country’s inhabitants. The category has also been buttressed with the new fruit-juice and energy-drink formulations that annually keep it a multi-billion-dollar industry. No matter the design or formulation of soft drinks, however, they will only resonate with the consuming public if they achieve long-held standards for appearance and taste. That puts tremendous pressure on soft-drink manufacturers to ensure that there is no deviation in the production process that may alter the formulas that are beloved by consumers. That’s why AODD pump technology, specifically the Hygienic and FDA from Wilden, are a wise choice for the many liquid-transfer points in soft-drink production and packaging. AODD pumps can help to guarantee that product quality is preserved, while also adding the benefit of lower operating and maintenance costs to the bottom line of the producer.